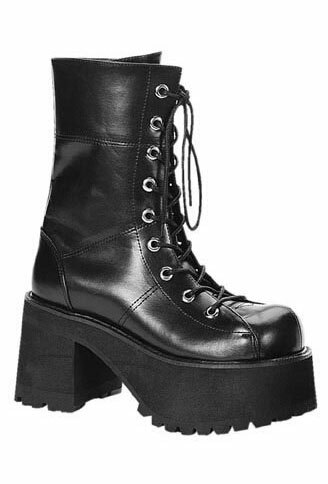 The Ranger-301 is a 9 eye lace-up black PU platform boot with a 3 1/2 inch platform heel. 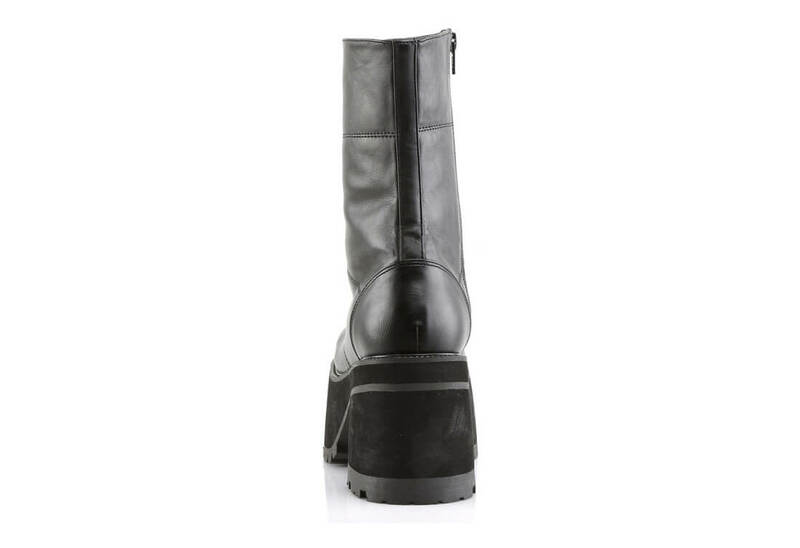 The boot comes with a stiched design and an inner zipper for easy on and off. 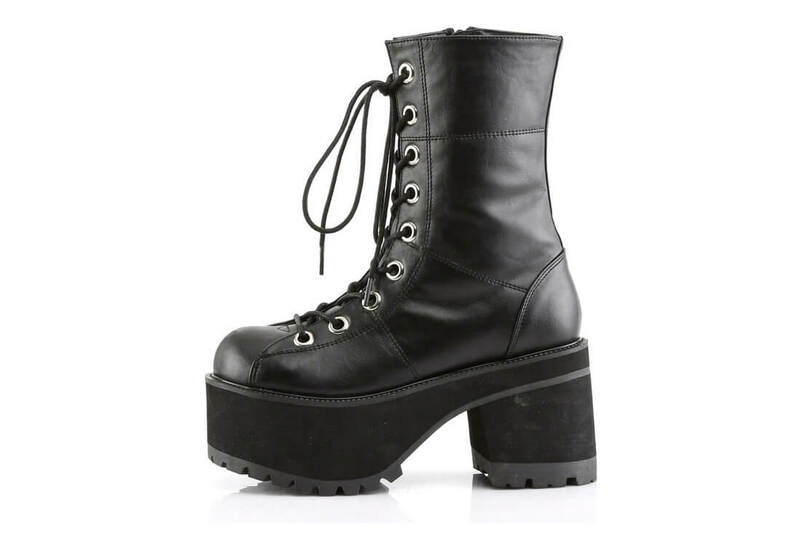 I ordered these shoes and the shipping was fast! 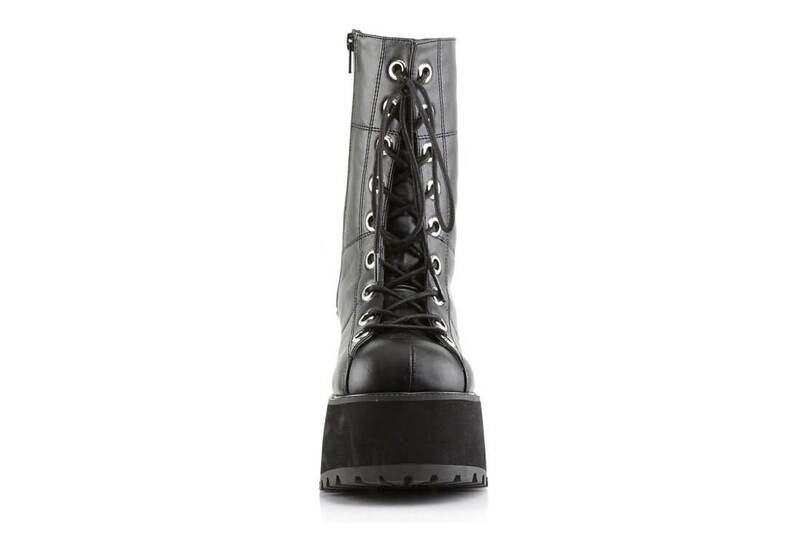 These boots are super comfortable and durable. The sizing is also pretty exact! 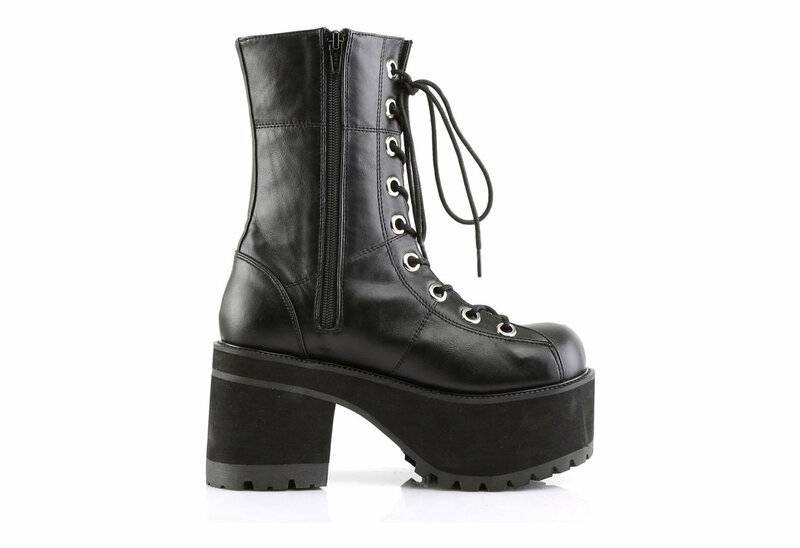 The sizing is pretty much the same as Dr.Martens or TUKs. I would recommend buying a size larger though. 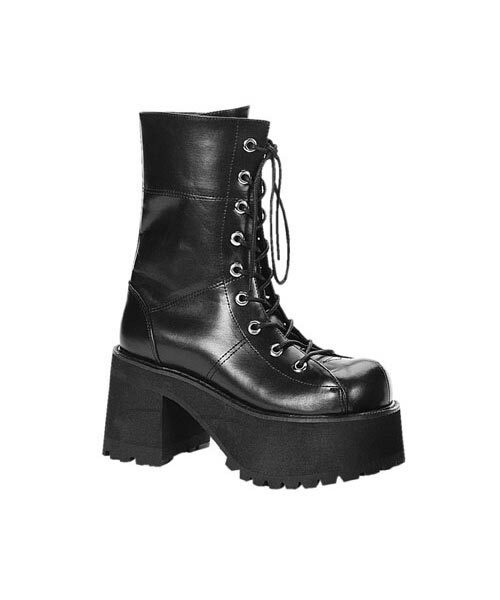 I bought my normal size and honestly I wouldn't have minded a size larger for some extra toe space. BUT I am very satisfied with my purchase! Side zipper is a neat touch, sole was a little firmer than I thought it'd be, but no complaints. These do run HUGE though for women! I'm normally a 9 or a 8 wide and I'm swimming in these. I could have easily ordered a size smaller and been okay with my stubby, wide feet.